This daddy and daughter video is quite possibly the cutest thing we’ve seen all week! This video of Claire and her dad singing the famous Toy Story theme song, “You’ve Got a Friend in Me,” has been viewed more than 5 million times since it’s upload about a week ago. It’s adorable how they clearly spend a ton of time together enjoying music, and how into the jam little Claire gets when she sings her solo. And, her sweet voice is the perfect compliment to her father’s. 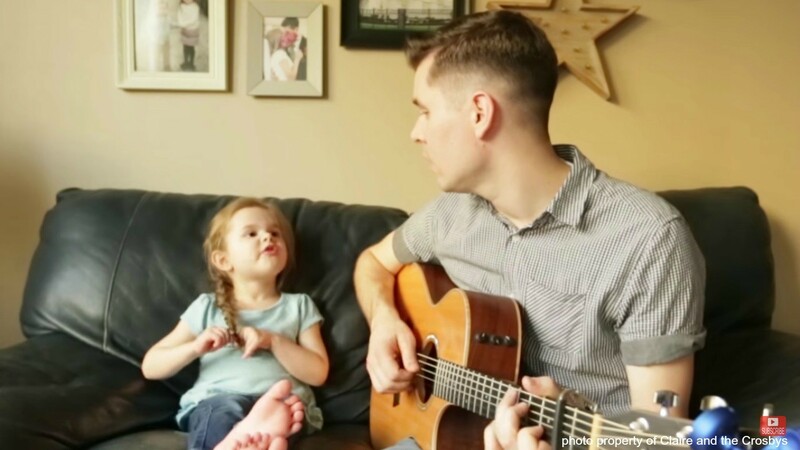 A quick scroll through their YouTube channel playlist reveals that little Claire is no stranger to singing on video –there are tons of other adorable pieces to enjoy of her singing with dad and solo! She is truly quite the little star! Watch the video and try not to fall in love with the two of them. Off to binge the entire Toy Story series now, thank you very much, Claire! Read More: Video: Watch as this mom tries to hilariously sneak out of her son's room after putting him to bed! Love connecting with moms about mom things? Download the mom.life app today and join a huge network of modern moms!